FIA’s International Futures Industry Conference brought together industry legends and rising stars of the global futures, options and cleared swaps industry to explore the current state of the cleared derivatives ecosystem, set strategic partnerships and make powerful connections. More than 1,100 senior-level executives from brokerage firms, asset management firms, international exchanges and regulatory bodies gathered for FIA’s most prestigious strategic conference. Save the date for Boca 2018 - March 13-16. Boca 2017 brought key issues and opportunities into focus over three days of programming. From taking stock of the current state of the cleared derivatives industry to mapping out the future and the role of technology and regulation in shaping it, the sessions provided actionable insights for you and your business. The FIA FUTURES HALL OF FAME celebrates the accomplishments and recognizes the significant contributions individuals have made to the futures and options industry. The newest inductees were announced at a special breakfast ceremony on Thursday, March 16. Since its establishment in 2005, FIA has recognized the outstanding contributions of 130 members of the futures and options community. These inductees have earned respect and gratitude of futures market participants for laying the foundation for the extraordinary success of our industry, from groundbreaking innovations to processes, programs and policies they have put into play. CONGRATULATIONS to the 2017 inductees! Boca 2017 offers two great opportunities to give back during this year's conference. FIA, along with our generous sponsors, are hosting two charity sporting events. Proceeds from both events will benefit FUTURES FOR KIDS, an organization that supports children's charities around the world through private events and donations. Start your conference week on Tuesday morning at the FIA Boca Tennis Tournament, sponsored by Trading Technologies. And, wrap up your Boca week on St. Patrick’s Day with the 3rd Annual FIA Charity Golf Event, sponsored by UBS. Make compelling connections with the leaders of the global futures, options and cleared swaps industry. Boca features a powerful mix of long-time attendees and fresh faces, giving you the opportunity to deepen current relationships and build new ones. Take advantage of downtime between sessions and networking events for important client meetings and frank conversations. Thank you to the sponsors and exhibitors of Boca 2017! The BOCA RATON RESORT & CLUB, A Waldorf Astoria Resort, has been home to FIA’s International Futures Industry Conference for decades. Stay at “The Pink Palace” and enjoy the merging of its Art Deco origins with modern amenities. The FIA room block does sell out, so check the TRAVEL & VENUE page for availability and other options. 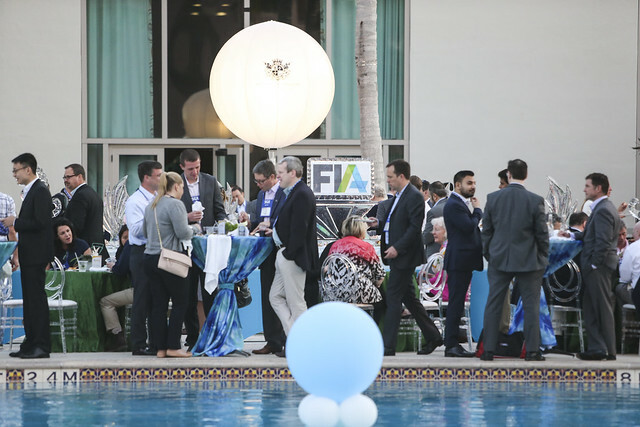 A record number of participants joined FIA at its 41st annual International Futures Industry Conference in Boca to consider the future of the industry. One-third of the 1,150 attendees were from outside the U.S. Participants included industry leaders and regulators from 27 countries and an exceptional lineup of speakers. CHECK OUT HIGHLIGHTS from 2016. Panelists discuss issues about market liquidity such as market structure, the impact of regulation, new entrants and innovations. In this video, global exchange leaders discuss the future of clearing, the impact of capital requirements on FCMs, default management and other important clearing issues.